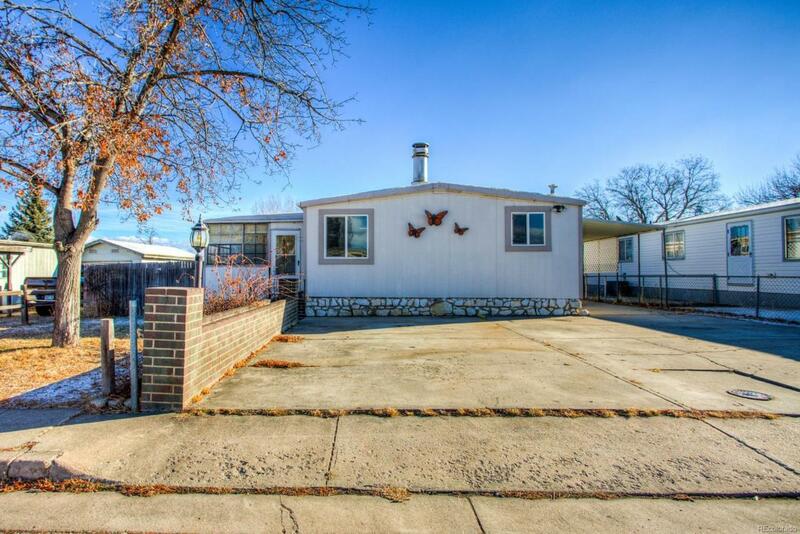 Wonderful manufactured home w/ over 1,300 sqft of living space. Cozy corner fireplace in the living room w/ two skylights offers lots of light. Spacious country kitchen w/ oak cabinets leads into dining area with access to cover porch.Three bedrooms w/ one that walks out to large wooden deck with access to the backyard. Nice size enclosed fenced backyard is great for kids or four legged family members. Great enclosed sun porch leads to the HUGE attached workshop. This home has a lot to offer!